Multielectrode arrays allow recording of the activity of many single neurons, from which correlations can be calculated. The functional roles of correlations can be revealed by measures of the information conveyed by neuronal activity; a simple formula has been shown to discriminate the information transmitted by individual spikes from the positive or negative contributions due to correlations (Panzeri et al., 1999). 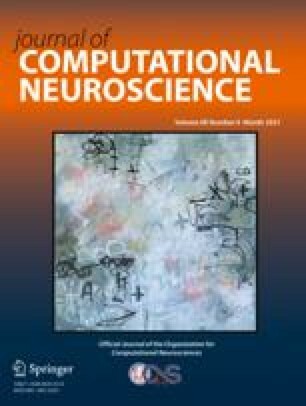 Here, this analysis, previously applied to recordings from small ensembles, is developed further by considering a model of a large ensemble, in which correlations among the signal and noise components of neuronal firing are small in absolute value and entirely random in origin. Even such small random correlations are shown to lead to large possible synergy or redundancy, whenever the time window for extracting information from neuronal firing extends to the order of the mean interspike interval. In addition, a sample of recordings from rat barrel cortex illustrates the mean time window at which such “corrections” dominate when correlations are, as often in the real brain, neither random nor small. The presence of this kind of correlations for a large ensemble of cells restricts further the time of validity of the expansion.